BY THE BEAT OF THE DRUM! 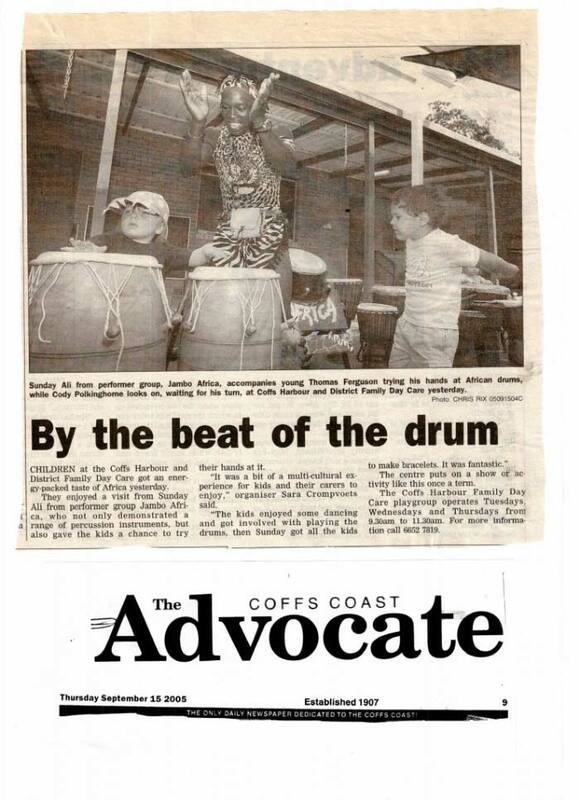 Children at the Coffs Harbour and District Family Day Care got an energy-packed taste of Africa yesterday. 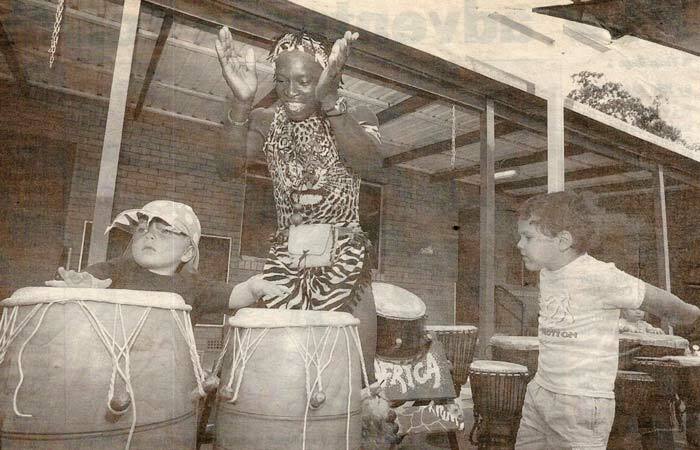 They enjoyed a visit from Sunday Ali from performer group Jambo Africa, who not only demonstrated a range of percussion instruments, but also gave the kids a chance to try their hands at it. “It was a bit of a multi-cultural experience for kids and their carers to enjoy,“ organizer Sara Crompvoets said. The center puts on a show or activity like this once a term. The Coffs Harbour Family Day Care playgroup operates Tuesdays, Wednesdays and Thursdays from 9.30am to 11.30am. For more information call 6652 7819.